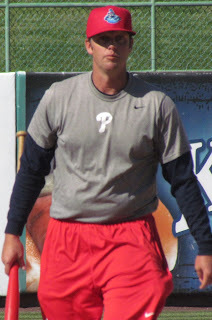 I recently sat down with Class A Lakewood manager Shawn Williams to discuss his BlueClaws team. Topics ranged from injured players, a returning pitcher, a pitching prospect's improvements, his team's backstops and plenty more. Read ahead for the full interview. -Firstly, I wanted to start out by asking about a pair of guys that have been on the disabled list for a while. 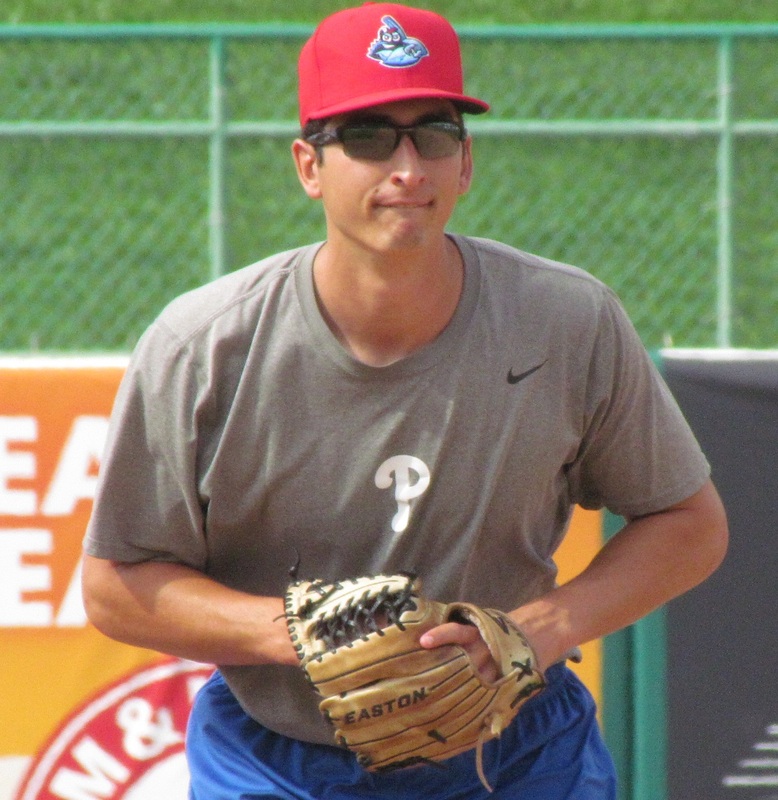 Last year's Phillies first round pick Cornelius Randolph (shoulder) and outfielder Zach Coppola (hamstring) have been sidelined for a while. Any update on those guys nearing a return? The only thing I have is that Randolph has started doing some hitting stuff, some tee stuff and I don't know what the time table is for him. I just know he's hitting again, so I probably couldn't even tell you. I know Zach is a lot closer than Cornelius. I think he's almost into games here in the next couple days, probably just getting his legs going, I mean, possibly two weeks away, which would be obviously great for him and great for us. -I saw outfielder/third baseman Damek Tomscha on the field for batting practice. Is he back from the disabled list now? Today was the first day he's done any kind of real baseball activities. He's got a concussion, yeah, he got hit in the head with a pitch right in the beginning of our home stand last time. He's getting going, he's finally feeling a lot better. I've never had a concussion. I don't even know what it is. I just know it's been strange for him. Day to day it gets a little better every day. -Right-hander Drew Anderson is back now, after Tommy John surgery, and he's been great in his initial outings (1.72 ERA, 20 K, 6BB in 15 2/3 IP over three starts). What are your thoughts on him? It's great to get him back. I know he's excited. It was almost two years since the last time he had pitched. And for me, I haven't seen him throw in about three years. That was my first year and for me, he hasn't skipped a beat. He's definitely better than the last time I saw him. It's been a privilege, you know, it's great seeing him pitch and being healthy and he's been pitching very well. His command is there. He's got the baseball mind. He's got the mind to be really successful. And he just does a lot of little things to help him too. Running game, he's just been a lot of fun to watch. -Righty Jacob Waguespack has been great out of the bullpen for you guys. Is it possible he's ready for a more prominent role in the bullpen? I think he has kind of earned that already. He's done a little bit of everything and that's why he's so valuable. He can be long for us and go three innings, or he can go the 9th inning and pick up the save. He's picked a couple big saves here recently. One was a two and two-thirds, where he got out of a first-and-second with one out jam in the 7th and finished the game up and the other one was in Delmarva where he got a three-pitch 8th inning and came out and finished the 9th. But he's done a heck of a job to say the least and he's just very valuable in what he's doing, being able to anything pretty much. -Seems that both Deivi Grullon and Austin Bossart are capable and well-respected backstops, based on what I hear from the pitchers on this team. What are your thoughts on those guys right now? They both have done an outstanding job. Deivi, he's really matured even since last year, where he's a leader. The guys look up to him. The thing is that both catchers, him and Austin, they work together and help each other and Austin's done a heck of a job coming in. He was catching a lot early (while Deivi was injured) and even now catching a couple games a week and swinging the bat well. More importantly, both have done a good job with the pitching staff and it's definitely shown in the past month, but even more than that of how well our pitching's been doing. And it's a tribute to them and our pitchers. But, for me, it's more important that the relationship that they're having and being on the same page. -Highly touted pitching prospect Franklyn Kilome got off to a poor start (0-3, 15.83 ERA, seven K's, 10 BB in 9 2/3 IP over three starts) and then was skipped for a start and has been great since then (1-2, 2.51 ERA, 28 K, 12 BB in 32 1/3 IP over six starts). What do you think are the biggest differences for him since he turned things around? He's been, obviously, the new grip on his curve ball has really helped him a lot. He's really commanded it to be able to throw a first pitch curve ball for a strike to get them off his fastball. I guess that, not that that's mechanically, but that minor adjustment grip wise. And for me, more importantly his whole demeanor, he's become very aggressive on the mound and it's-- he's got the right mindset right now, the right attitude. Obviously, he's had a couple good outings. It's help to have a little success before you get confidence and he's definitely confident now and he's aggressive. And obviously, his velocity's got up I believe because of it. He's done an outstanding job and had a great month.